Yes! For the first time in months! Unfortunately, I was so wrapped up in the story being told as my beading group sat around the table that I counted 66 rather than the 88 needed for the cabochon surround. (I was picking up multiples of 22.) Of course, I did not notice this until I was packing up to leave. I had already gotten to the very last round and wondered why the points were off. Then Jessi said "that looks awfully small" so I held it up to the cab. Of course it was. So now I must redo everything I did and start again. But the point is, I beaded. It's been a while, but this is a double giveaway and the items are fabulous! Not a designer? Look at the necklace! 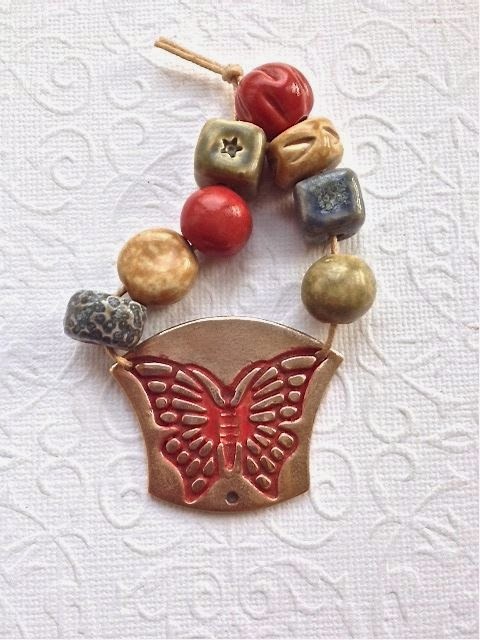 From Thea Elements - a wonderful set of beads (selfishly, I want this - back off!). 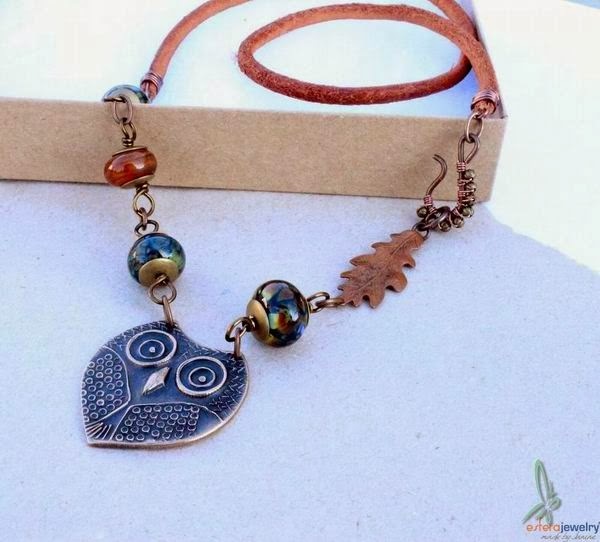 And from Esfera's blog this CUTE owl necklace (okay, I want this to - ignore this post). Who Doesn't Love Lewis Carroll? "The hurrier I go, the behinder I get . 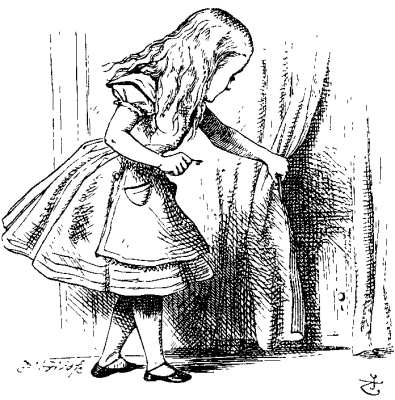 . . "
and who doesn't love the illustrations of Sir John Tenniel? For Christmas, T-man got the flu. Fortunately I have only succumbed to a bad cold combined with awful allergies. Combine this with being out of town for several days and mind-numbing cold (all things relative) and I now feel like I'm running a month behind and, no matter how much I hurry I will still be behind. Alice was FEARLESS! My heroine. This is my word for the year. This year I will not let myself be held back by insecurities nor by my negativity from my past. I will not listen to negative thoughts. I will not be afraid to try something new and push forward with it. 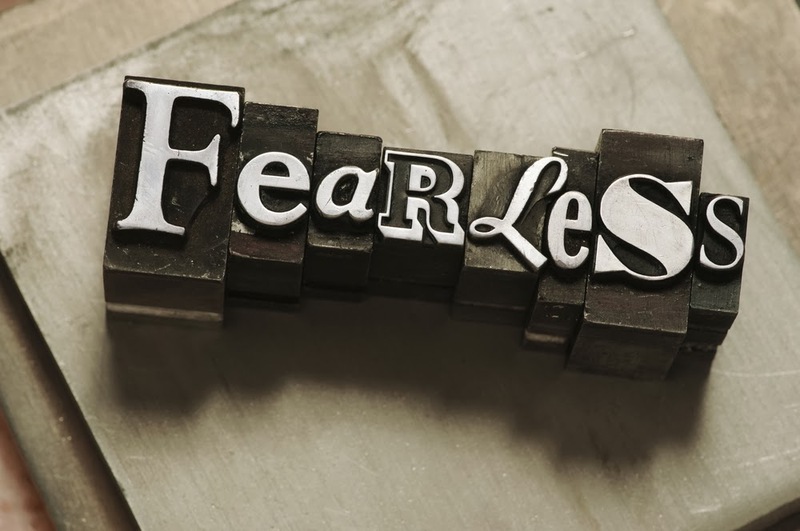 If I am fearless, then YES I can! 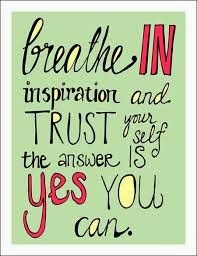 I want an entire year of YES I CAN. It will be nice for a change. What is your word for the year?? Come on, you can tell me. That's what friends are for.